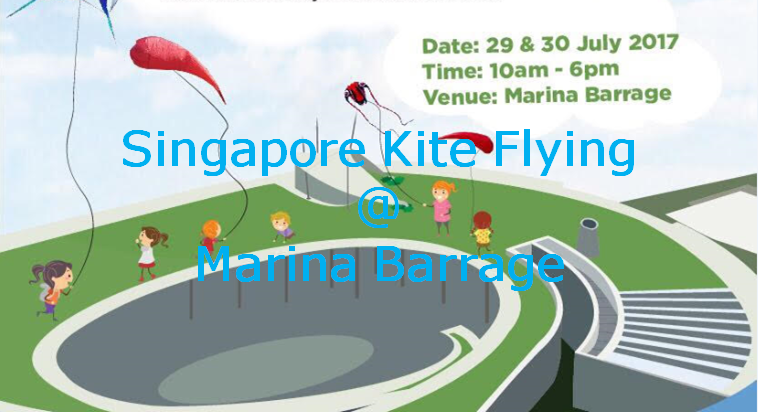 Singapore's largest kite flying event is back! Check out more details below. Singapore Kite Day 2017 in Marina Barrage. Be amazed by the many local and international kite designs being displayed up in the air in the roof garden. The whole event expects to draw a few thousand crowd..
Venue: Marina Barrage Level 1 (main walkway just beside the Fountain). Event is under building shelter. Space is right smacked in the centre of Marina Barrage. All stalls assigned by us. All vendors may leave their products there overnight. Please remember to bring a cloth or canvass to cover over your items. We will have a night security there. There is NO product restrictions. Sign up with us ASAP to get a stall!